A new dialog to import and manage student lists. Ability to import student lists from Excel (.xlsx) files. Ability to export exam results to Excel (.xlsx) files. Port to Python 3 (3.5 or later). Python 2 is no longer supported. Port to OpenCV 3 and 4. OpenCV 2.4 is no longer supported. Port to Qt/PyQt 5. Qt/PyQt 4 are no longer supported. A new Windows installer build with briefcase and the WiX Toolset). Installation procedures have been changed. Check the new quick start guide for instructions, also accessible from the documentation page. The fix in Eyegrade 0.6.3 for issue #108 (the accept button remains sometimes disabled in the edit student id dialog) didn't actually fix the problem in some situations. I've released Eyegrade 0.6.4 with a fix that I hope finally solves the problem. I've released Eyegrade 0.6.2 today. This release fixes a severe bug when grading exams without scoring and fixes also issues #104 and #108. I've released Eyegrade 0.6.1. This release just includes a couple of fixes for bugs #105 and #106. This feature has been developed by Jonathan Araneda from Chile. In addition, Roberto González set the requirements for this feature, provided quite useful suggestions, tested the new code and sponsored Jonathan's work. Thanks to both of them for their useful contribution! The number of digits of the student id numbers. 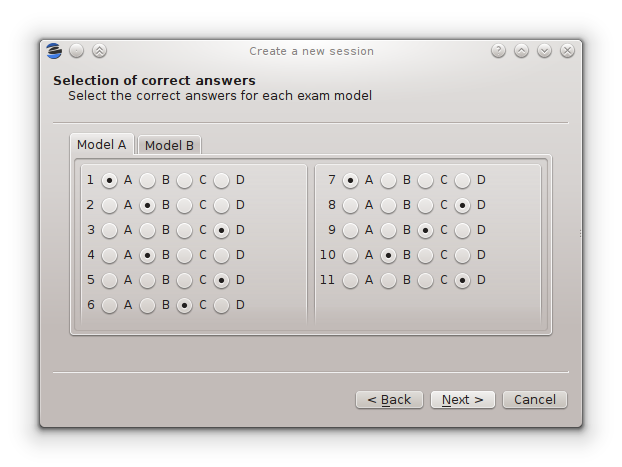 The number of choices per question. The geometry of the answer tables (how many tables and how many questions per table). The number of models of the exam (number of different exams you produced by permuting the questions and their answers). The key of the exam (the correct choice for every question in every model). These dialogs are documented in the user manual. 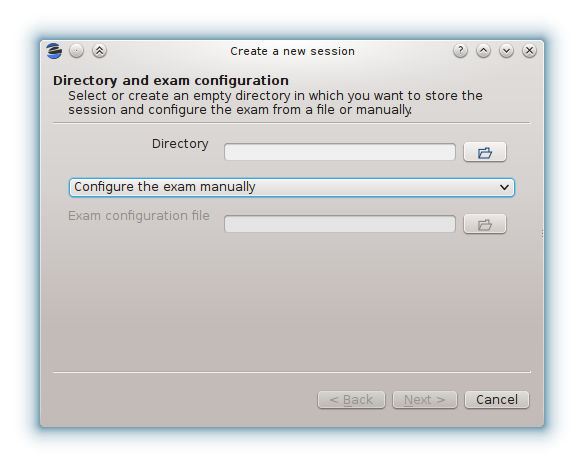 In addition, the configuration you entered can be exported as a configuration file so that you or your colleges can create new sessions with the same configuration (see the Tools menu). But wait, what happened to the new OCR system that I announced for the 0.6 release? Unfortunately, I have to leave it for later. Although it is ready, it depends on some other changes regarding the installation procedure that are not yet finished. I prefer to keep them for the next release in order to avoid delaying the session configuration feature.